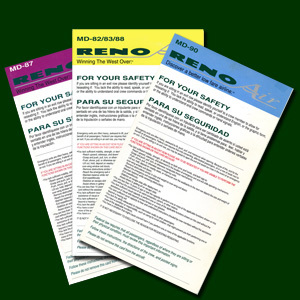 These are Reno Air MD-87, MD-80, and MD-90 safety cards. I'll have the insides and outsides scanned and up in the very near future. 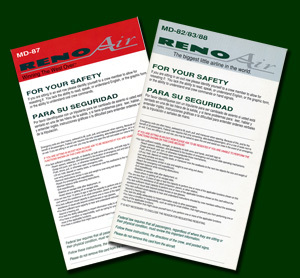 I recently found these variants of Reno Air Safety cards. The red card is an MD-87 ©1992, and the grey card is an MD-80 ©1994.